Applesauce is a sweet treat for little kids and big kids (also known as adults) alike. In addition to tasting delicious, one cup of applesauce provides 12% Daily Value (DV) of fiber and contains 3% DV or more of Vitamin C, Vitamin B-6, Thiamin, Riboflavin, Potassium, Copper, and Manganese. 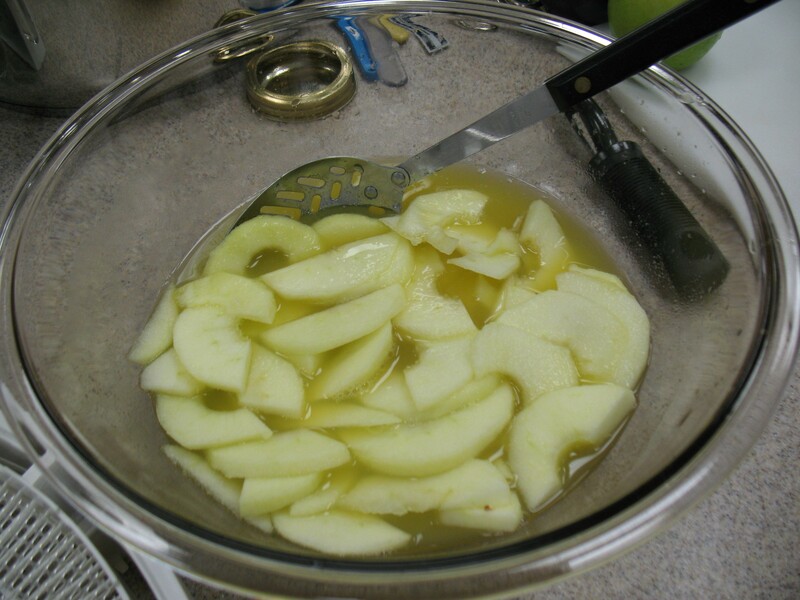 This recipe for Applesauce from the USDA Complete Guide to Home Canning may be canned in a boiling water canner or a pressure canner. You can also tailor the recipe slightly, deciding how sweet or tart you prefer your final product and also if you’d like its texture to be smooth or chunky. An average of 21 pounds of apples is needed for a canner load of 7 quarts. If you are using pint jars, then about 13½ pounds are needed for a canner load of 9 pints. Select apples that are juicy and crispy. For a sweeter sauce, select apples that are sweet. For more tartness, combine 1 to 2 pounds of tart apples to each 3 pounds of sweeter fruit. Wash, peel, and core apples. To prevent browning, you have the option to slice apples into water containing ascorbic acid. Use these guidelines for retaining optimum color and flavor to ensure that you use the proper proportion of ascorbic acid. After slicing, place apples slices into an 8- to 10- quart pot, draining the slices first if you used an ascorbic acid solution. Add ½ cup water. Heat quickly, stirring occasionally to prevent scorching, and cook until tender (5 to 20 minutes, depending on maturity and variety). For a smoother texture, press through a sieve or food mill. For a chunk-style sauce, skip this step. Your sauce may now be packed. If you’d rather sweeten it, then add 1/8 cup sugar per quart of sauce. Taste and add more, as you please. If sugar is added, reheat sauce to boiling then pack into jars. Remove air bubbles and leave ½-inch headspace (empty space between the top of the applesauce and the lid). Wipe jar rims and process according to the process times on the Tables below (adapted from the “Complete Guide to Home Canning,” Agriculture Information Bulletin No. 539, USDA, revised 2009). Table 2.Process Times for Applesauce in a Dial-Gauge Pressure Canner. Table 3. 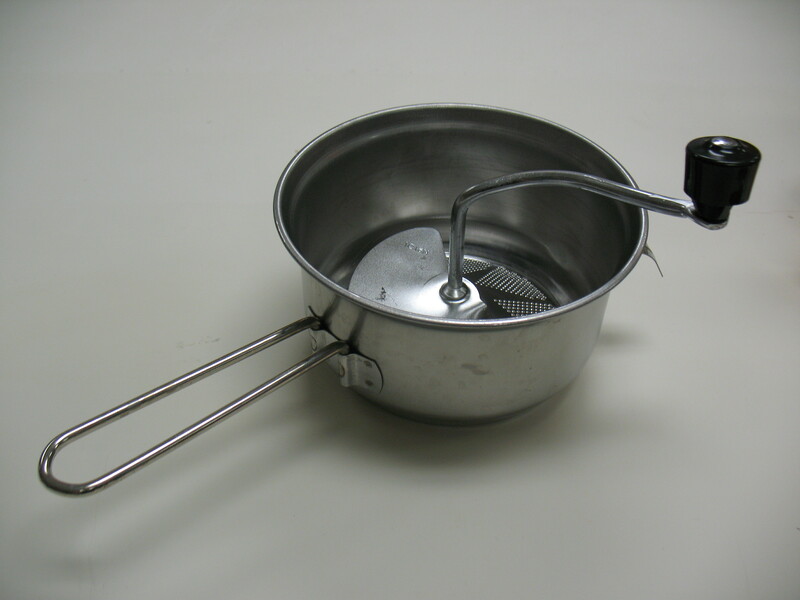 Process Times for Applesauce in a Weighted-Gauge Pressure Canner. This entry was posted in Canning, Recipes, Seasonal Food Tips and tagged Apples, applesauce on October 22, 2013 by nchfp.